Tacky Animal Shirts: Fashion is about individuality and being confident enough to wear unusual items. The best thing about wearing tacky clothes is getting to let your freak flag fly and produce some laughs from those around you. What better way to show off your tacky side than through shirts that feature animals? Here are the ten of the tackiest shirts that feature animals that will provide you with comfort and high-quality materials. The Mountain has provided customers with a shirt that will be sure to attract attention and gain laughs from all who encounter you! 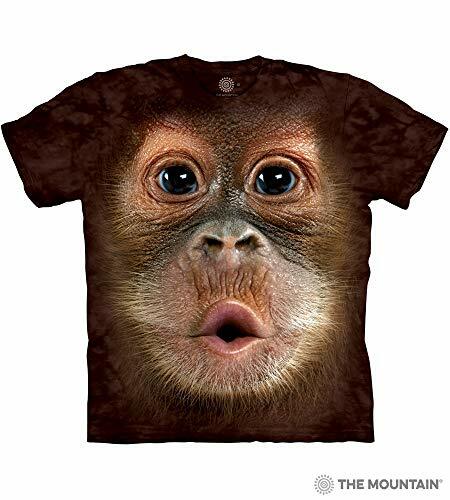 Featuring a baby orangutan with puckered lips in ultra vibrant and realistic colors this shirt is perfect for those who want a blend of ultra-tackiness and high-quality materials. The intricate dyeing process allows this shirt to be washed without worry of the colors fading and your eccentric baby orangutan disappearing. This shirt is the perfect addition to your head-turning, tacky wardrobe. 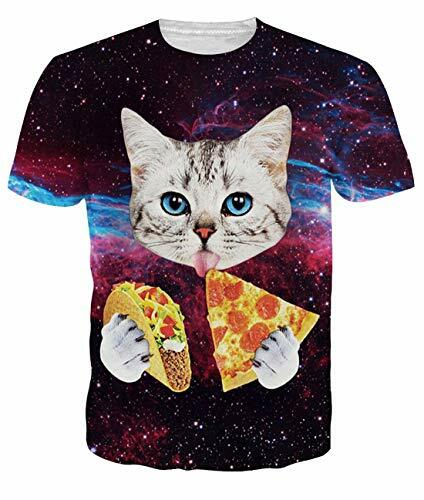 Just when you thought there was nothing tackier than a shirt with a cat in space, Uideazone created this shirt that features space, a cat, pizza, and tacos! This shirt will have everyone you meet laughing at the cute little kitten trying to chow down on some pizza and tacos! The ridiculously vibrant colors perfectly compliment the ridiculous t-shirt. While you’re sporting this eye-catching look, you will be comfortable thanks to the soft fabric. Whether you love cats, pizza, space, tacos, or all of the above, this shirt will soon be your favorite! Run it’s…..Catzilla? Have people giving you a double-take when they see this shirt! 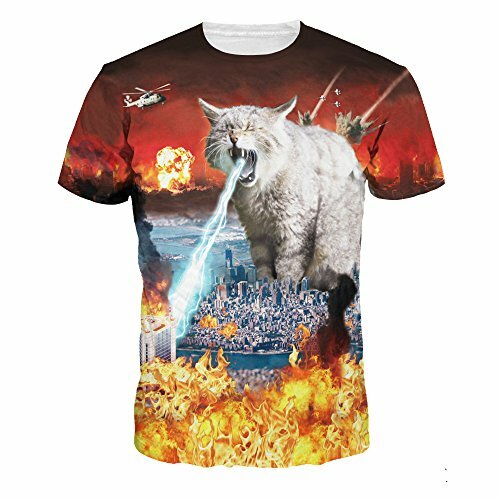 Featuring an alien cat who has come to destroy the city complete with explosions and laser beams you need to add this shirt to your tacky wardrobe. The colors of this tacky shirt are so bright it will be impossible for those around you not to take a look at your outfit. While hilarious, this shirt is comfortable and able to be washed without worrying about shrinking or fading. Whether it is for men or women, this shirt goes above and beyond the call of tacky. The subtlety of the design combined with the dry humor of the pun makes this shirt a must-have for women who enjoy the tacky things in life. 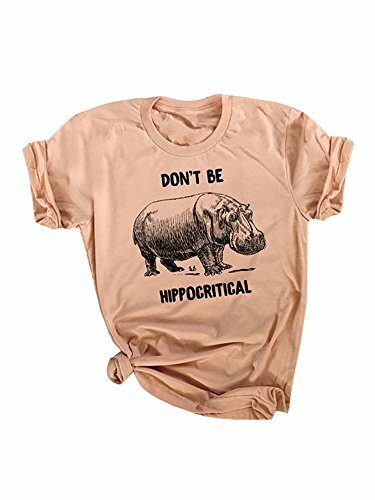 Featuring an adorable pencil sketched hippopotamus and the saying “Don’t be hippocritical” women will love wearing this top! 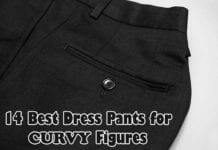 The relaxed fit and soft material will allow you to be comfortable while you broadcast your style of humor to the world. Women who enjoy a good pun need to add this shirt to their closet! 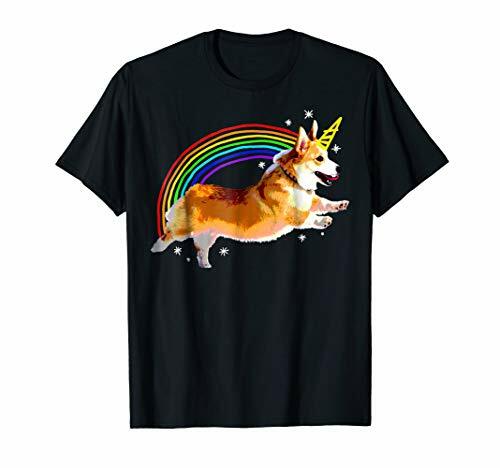 Available in many colors: black, navy, baby blue, pink, or purple this is the perfect shirt for anyone who appreciates Corgis and tackiness. Showcase your ridiculousness with this comfortable shirt made with high-quality materials. 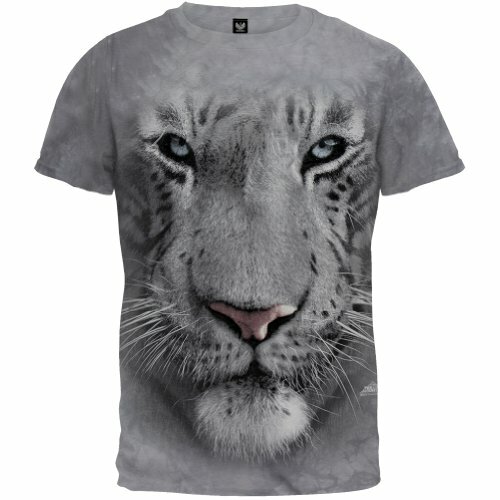 Showcase your wild and tacky side simultaneously with this shirt featuring the face of a white tiger. One’s tacky wardrobe is simply not complete without a shirt featuring a large cat, and this one is a winner! 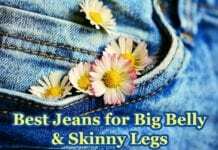 Made of pre-shrunk cotton and beautiful print that is made to last through the wash cycle you will be amazed at how it gets more and more comfortable each time you wear it. Turn heads wherever you go when you buy this animal shirt for your closet. Like this large cat shirt, no tacky wardrobe is complete without a wolf shirt. 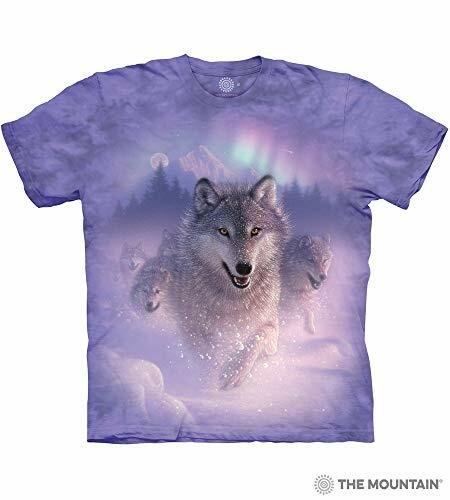 Show that you are the leader of the pack with this shirt that features a pack of Alaskan wolves running through the snow on a purple tie-dyed shirt. This animal shirt is a classic and will make everyone see that you have the perfect tacky style. The fade-resistant fabric will keep this shirt looking new and feeling comfortable even after several washes. The realistic printed wolves will have everyone you meet wondering why you have it in your closet and leaving you feeling tacky while comfortable. 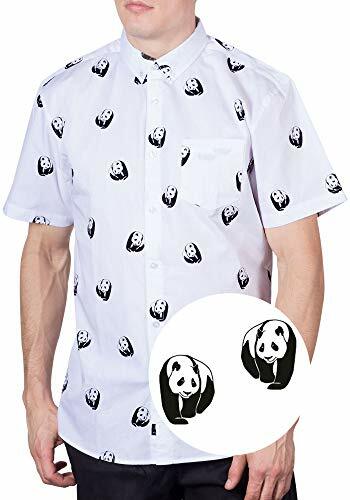 This button-down, short sleeve shirt has a repeating black and white panda bear pattern all over it. The pattern is showcased on the front and back of the shirt allowing your tackiness to be on display on both sides! The cotton material is soft and breathable while looking fantastic. The buttons ensure full closure allowing you to know that they will stay closed the entire time you wear it. Show off your cuddly side with this unique button down that is sure to turn heads. It’s a shark-eat-shark world where only the strongest survive! 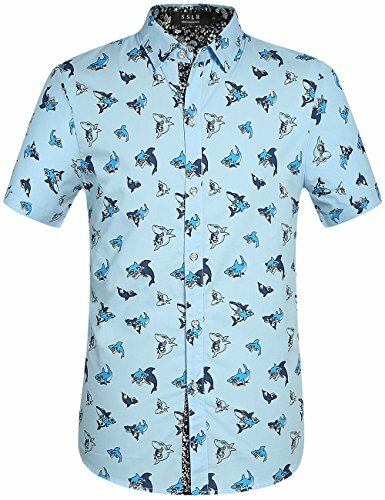 Show off this tacky short sleeve button down shirt that features a repeating pattern of fighting sharks. Made from 100% cotton this lightweight shirt provides a material that is breathable for the utmost comfort. People will know that you’re the true alpha male by wearing this delightfully tacky shirt. The Mountain provides customers with the most purr-fect tacky shirt featuring a beautiful black cat. 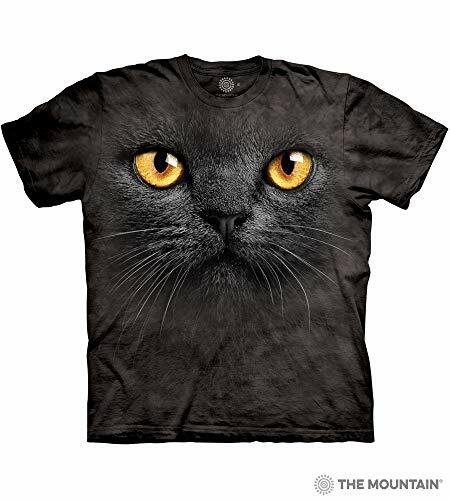 The tacky animal shirt itself is a tie-dye design featuring the large black cat face as the focus. Vivid colors make it look like the cat could jump off the shirt! The fitted design made with high-quality materials allows for a stylized look while showing off your tacky side. Make your friends say “Meow!” with this fantastic shirt. Whether it’s a cat in space or a pattern of panda bears, these tacky animal shirts show off your wild side while getting a laugh from those around you. 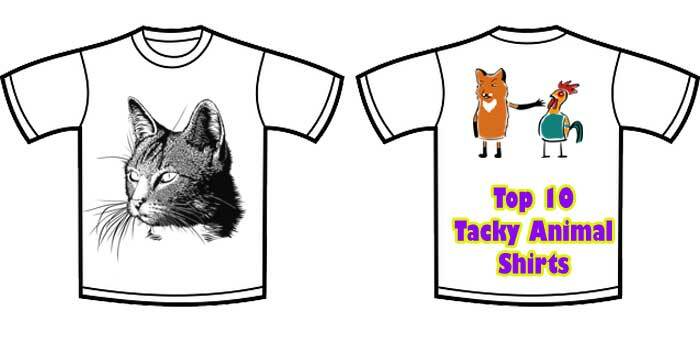 By picking any of these high-quality tacky animal shirts, you will be able to add to your tacky wardrobe while being comfortable. Previous articleWhat To Wear To A Tacky Christmas Party? Next article22 Colorful Retro Lamps Design Ideas For Your Home!